Not all colored fabrics are created equally. Some are woven from dyed yarns, some are dyed after weaving, and other fabrics are colored by printing the surface, often with several different colors. Color performance has improved with modem technology, but failures may still occur. The Federal Trade Commission (FTC) requires manufacturers to attach a permanent label to textile garments that provides directions for their care. The Care Label Rule was intended to give both the consumer and the drycleaner or launderer complete guidance on how to take care of an item. A garment labeled "dryclean" should have dyes that can withstand drycleaning solvent, and "washable" garments should have dyes that will stand up to washing. The best way for the manufacturer to determine care procedures is through testing. 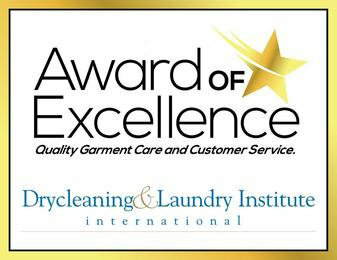 Unfortunately, this is not always done, and sometimes items are drycleaned or washed with poor results. As a general rule, you have the right to assume that a properly cared for white garment will retain reasonable whiteness for its normal life expectancy, and that colored garments will retain their depth or brightness. Always read and follow the care instructions. Protect white & colored garments from excessive exposure to light. Follow bleaching instructions on the care label. When in doubt. consult a professional cleaner. A dye that is soluble in drycleaning solvent may severely fade during the drycleaning process. If two or more dyes have been used and only one is solvent soluble, you may seea dramatic color change. For example, the yellow component may be removed from a green garment, leaving it blue. Drycleaning also may affect various pieces of a garment differently. For example, a dyed blue dress may retain its color, while its blue and white surface printed jacket may fade, so that the blues no longer match. Fading commonly occurs in household items, such as bedspreads and draperies. Often, it may not appear severe until the item is compared with a matching item. Matching bedspreads and draperies should all be cleaned at the same time. Some dyes bleed when laundered or exposed to perspiration, rain, or water. Since many stains require water and water solubte chemicals for removal, even drycleanable items should have water resistant dyes. Water can also cause problems with sizing, which is used to provide body in fabrics such as rayon. Water spills may cause sizing to migrate and form dark rings or streaks as it dries. These discolorations are difficult to remedy on drycleanable fabrics because they require additional water to remove the sizing disturbance, and this may aggravate the problem. Most people do not think of white as a color, but it is. Many fabrics naturally have an off white or yellowish cast. White fabrics may even be treated with optical brighteners, also called fluorescent whitening agents, to enhance their whiteness. Some of these brightening agents are unstable and may lose their whitening power when exposed to light, giving the exposed fabric a yellow or gray hue or a pink or green cast. For example, the front of a sweater laid out to dry in the sun may turn yellow, while the back remains white. Brighteners are especially sensitive to light garments are wet. Yellowing also may occur when chlorine bleach comes in contact with resins, which sometimes are added to impart a "permanent press" quality. You can avoid this by following the care label instructions for bleaching. Some white fabrics yellow from normal aging, oxidation, and exposure to atmospheric soils. This process sometimes can be reversed by careful wetcleaning and bleaching. 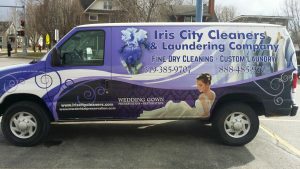 If not too severe, it may be corrected with a fluorescent brightener during the drycleaning process or by using a laundry detergent containing brightener. Most dyes eventually fade with exposure to sunlight or artificial light. Color failure may occur rapidly on exposed areas, such as shoulders, collars, and sleeves. Many blue, green, and lavender dyes are light sensitive, especially on silk and wool fabrics. Household substances also can affect dyes. Be careful not to expose fabrics to alkaline toiletries, such as toothpaste, hair spray, perfume, or deodorant, which contain alcohol. The acidity of lemon juice affects some dyes. Bleach, one of the most common causes of color loss and fabric damage, should be used with extreme care.